The Living Roadway Trust Fund has worked with partners throughout the country to develop materials that help audiences better understand various aspects of integrated roadside vegetation management. All publications are available at no charge. Hard copies can be ordered through the online ordering system below. If you require more than six of any publication, contact us. Download a PDF version by clicking on the publication titles below. Select a quantity and click the “Add to Order” button for each publication you would like to receive. Provide your order delivery information. View the order summary and confirm that everything is correct. Click the “Submit Order” button to complete the process. 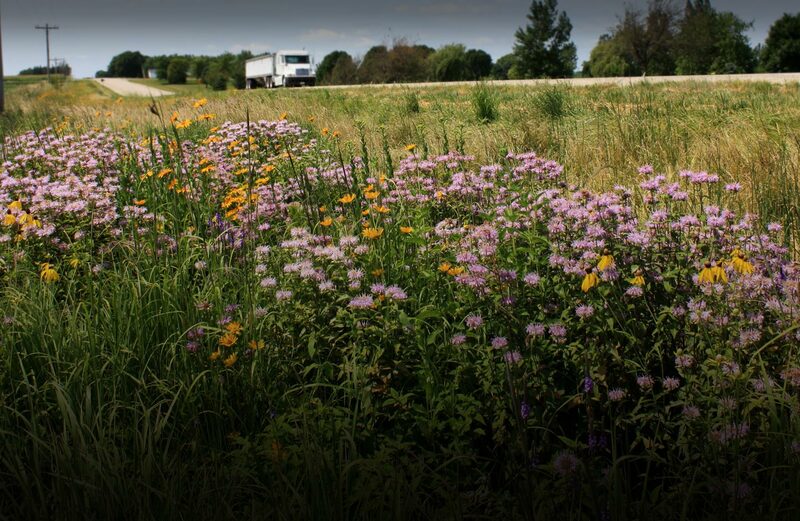 Information about native plants of Iowa and their use in the state's roadside management program is available in this 132-page book produced by the Iowa Department of Transportation. The fourth poster in our Pollinators series shows how insects play critical roles in addition to pollination by providing pest control as predators or parasitoids for nature and agriculture, while describing ways that we can live with and support them in providing value to Iowa’s roadside habitats. This poster depicts in a colorful mosaic many of the native plants and the animals that call them home throughout Iowa’s roadsides habitats.